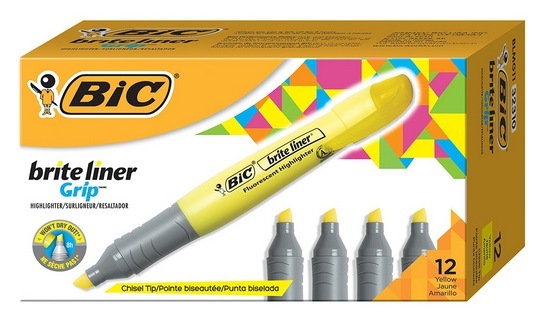 BIC Brite Liner Grip Highlighters, 12 count only $3.35! Amazon has these BIC Brite Liner Grip Highlighters, 12 count for only $3.35 right now – the lowest price on record! Looking for more? Read more posts about Amazon Deals & Back To School Deals 2018.